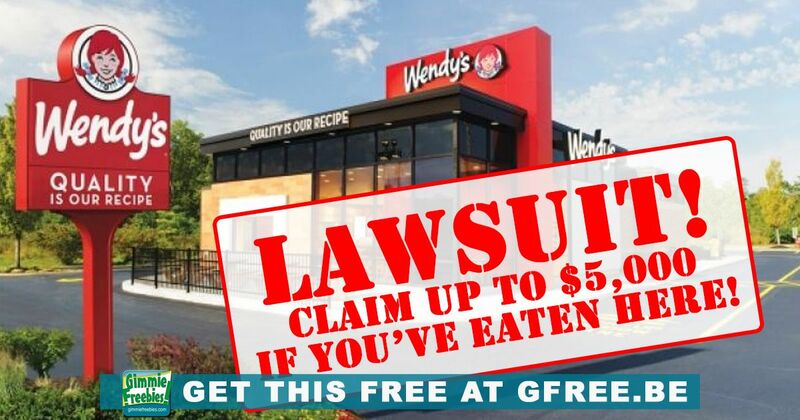 You are here: Home / News / Class Action Lawsuit Notices / Have You Eaten at Wendy’s Hamburgers? Claim up to $5,000! Did you eat at this fast food chain? If you’re like me you love the Wendy’s menu, especially the great deal on Wendy’s 4 for 4. The Wendy’s menu prices aren’t all great, but their deals are as hot and juicy as their nickname. The restaurant is known for its clever social media, and its fresh, never-frozen, square hamburgers. So, someone sued them in a class action lawsuit (Torres v. Wendy’s International, LLC, Case No. 6:16-cv-210-PGB-DCI.) The plaintiff says it’s their fault because credit, debit and other cards were compromised in a a data breach. Wendy’s says it did nothing wrong, because franchisees own the restaurants. Consequently, they have agreed to a settlement. First of all, if you used a credit, debit, or other payment card at certain Wendy’s restaurants between October 25, 2015 and June 28, 2016, you may be eligible for a cash payment from a data breach class action settlement. To see if you’re entitled to compensation, visit this page and enter the location of the Wendy’s restaurant where you ate. To be included: You’re included if you live in the USA, and your Personal Information was compromised. In order to get compensation: you must fill out a claim. Most importantly, Settlement Class Members are eligible to receive reimbursement of up to $5,000. In other words, the Settlement will provide cash payments to people who submit valid claims. To receive a payment, you must complete and submit a CLAIM HERE by March 21, 2019.